What Matters When Hiring A Junk Car Removal Agency? Are you ready to remove your junk car? Do you wish to remove it at no cost? Well, a lot of car removal agencies are there but only a few of them do removal for free. Additionally, not every company has skills and expertise to remove the cars. If you want to remove your vehicles for extra cash money, then it’s wise to find some reputable car removal company. 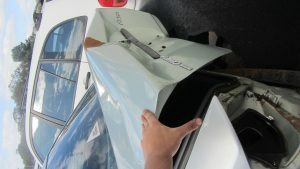 Only a highly experienced car removal company proves to be successful in removing the damaged vehicles. Reputation – The quality of car removal services matters a lot. When hiring a car removal agency, you should know how quick they are in managing the car removal. You can judge this by visiting their website or check for the customer reviews. Price – Another important factor one should consider when hiring a car removal agency is price. Make sure you should not settle for the first choice and make a selection after communicating with others too. There are most of the companies that offer cash for cars which you never even aimed for. Location – Aside from checking the quality of car removal services, you also need to check for the location where the car removal company resides. Make sure not to hire a company that is miles away from you and go with the one that is within your locality. Hope, all the above factors help you get the best car removal in Perth. Rest, don’t rush! When you are in rush you are likely to make mistakes for which you regret later. Also, you should never make a decision only through the outer appearance of a car removal company.